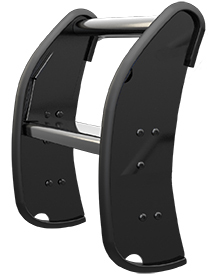 Please note, these are Setina PB400 Heavy Duty Push Bumpers and Fender Protectors without LEDs. They are designed for quick, easy installation. 40% lighter weight, high strength aircraft grade aluminum satisfies the automakers’ concerns on front and weight limitations. Three-stop, OEM approved primer and exterior finish meets automakers’ specifications for maximum durability. 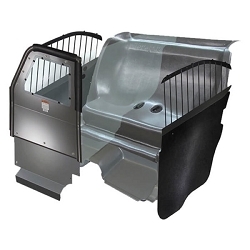 Wiring is protected within the push bumper assembly and fender protectors have replaceable Mar-Resistant rubber push pads. 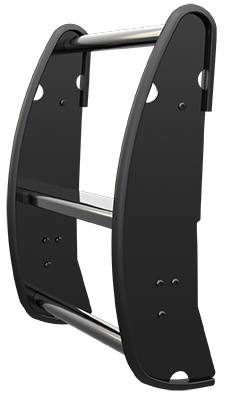 Setina’s PB450-L Series Push Bumper is the latest technology in push bumper design. 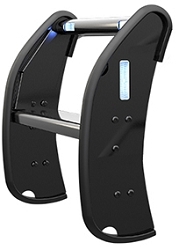 The integrated LED lights are recessed into the push bumper for front end lighting placement and light protection. Super-tough, Ultra Compact LED Lighting Design for Cars, SUV’s Trucks & Vans. Please contact us if you're interested in optional PB5, PB6, and PB8 Fender Protector Wraps which increase protection to fenders, grille & headlights. Excellent well crafted product. Instructions are easy to follow. The push bar is not as heavy as it appears. In fact, it is somewhat light weight. I think the brackets are havier than the push bar itself.